Trying to set and achieve goals when you have depression and/or anxiety is not an easy task. One of the most challenging aspects is shifting your mindset. 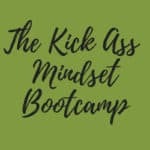 The most successful technique, in my experience, to accomplish shifting of your mindset is to use Neuro-Associative Conditioning (also NAC). NAC was developed by life coach Anthony Robbins and is based on the foundations of Neuro-Linguistic Programming or NLP which was created by Richard Bandler and Dr. John Grinder. 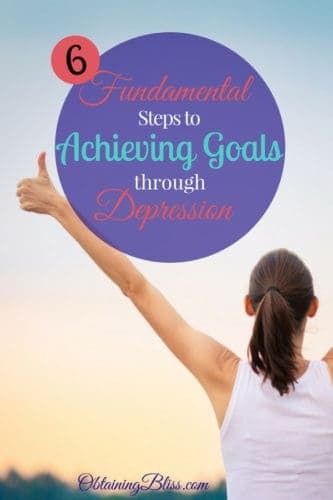 Using NAC, I’m going to break down the 6 fundamental steps to achieving goals through depression. These are the steps to use to successfully achieve goals despite depression and anxiety. By using NAC, it can help free you from just using effort and willpower. You will empower your unconscious mind. Normally, we link pain to those things that cause you harm and link pleasure with those things that move or inspire you. With NAC, you will be empowered to take action and see the change you want to see. NAC helps us to change how we feel about things and changes our behavior. We must go by a system to create change. Before I get into the fundamental steps there are two shifts in beliefs we MUST make. The first belief we must have is that we CAN change. Change occurs in an instant. Once we make up our minds to change that’s when it happens. The second belief is WE ARE responsible for our own change. You can’t rely on someone else to make the change for you. You are only responsible for you! 1. Decide what you really want. Make the decision of what it is you’re going to change and what you really want. What’s preventing you from having it now? Are you focusing on the wrong thing? Are you focusing on what you don’t want? We get what we focus on, so shift your focus on what you DO want. Change your association to the positive. How do you get leverage? Associate massive pain with NOT changing and associate massive pleasure to making the change right now. Make this change by creating a sense of urgency that this MUST be done NOW. Make the pain of not changing so intense that your mind will have no choice but to change. Link that change you are making to extreme pleasure. Of all the steps, I feel this one is the most important. People who have anxiety and depression know that little voice in the back of their heads filling them with doubt, worry and negativity. This step is crucial in silencing that voice. It takes a lot of practice and being consistent but let me tell you it works wonders!! The best way to interrupt your own bad habits and/or negative thoughts (aka the bad voice) is to jolt yourself. Reverse that thinking. For example, if you keep replaying a negative memory over and over in your head you’re going to continue to feel worse. Instead, change the memory. Change it to a cartoon. Imagine the characters involved in the memory as just that, “characters”. Imagine they are outlandish and goofy/silly. Change the colors, reverse the memory, play it backward, give the character’s funny accents. Do what you need to break that negative association. Another step in this is to do daily affirmations. Affirmations are positive reinforcements that continue to put positive thoughts in your head. 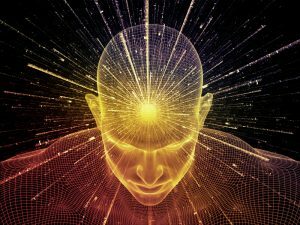 Even if you don’t believe them when you are saying them if you do this continuously over and over again, eventually you WILL start to believe them and this mind shift will give you so much power! I set daily affirmations each week and then commit to saying them to myself every day several times. Here is an example of my weekly affirmations. This is for long-term change. You need to replace that negative behavior with a new behavior. For example, if you used to smoke and you’re quitting you need to find a new way to relieve stress. Preferably find a healthy way to relieve stress. For instance, take up a new exercise. Exercise is a great stress reliever. If you can’t figure out exactly what to do to replace the negative behavior, find someone else who has done this successfully and follow their lead. 5. Condition the new pattern until it’s consistent. Rehearse, rehearse, rehearse!! The best way to ingrain something and truly make it a habit is to practice it consistently. Don’t stop, don’t give up. Consistency is the key to all successful endeavors. Set yourself up with a schedule and give yourself a reward for this new behavior. Reward yourself consistently. Don’t wait to lose that 5 pounds, reward yourself after that first week of workouts! Set short-term goals or milestones and reward yourself regularly for each one. This conditions you to link pleasure with this new change. 6. Test the new pattern for effectiveness. The change needs to fit all aspects of your life. You need to look at how this change affects your business life, personal life, love life, etc. Your new behavior must benefit and empower other areas of your life. You need to make sure this new behavior/goal fits with your core beliefs and values. Make certain you link pleasure to the new pattern. Align your new pattern with your values and this will ensure that this new behavior will last long term. Make sure the benefits of the old pattern are being maintained, see #4 (make sure the alternative behavior is consistent). This is how you solidify long-term change and results. Find your happy by joining our FREE 5 Day Bliss Challenge!! Sign up below! Yes!!! Your post is spot on! It’s totally in our power to change what we feel and believe by how we think. All change has to come from within and changing our thought patterns is our first task to accomplish that. We can’t go from depression from joy in sixty seconds, but we can keep reaching for better and better thoughts each day. Affirmations are life changing!